Santa Ed we can’t thank you enough for coming to our Holiday Party! You were so incredibly authentic, kind and fun. You brought so much joy to everyone (big kids and small kids alike)! We couldn’t have asked for more, you truly made it a party to remember—Rioters have been raving about how amazing you were all day! I’ve attached some of the more memorable photos from the event. Please let me know if you need anything else and thank you again for such a memorable experience. We look forward to having you again next year! Thank you for being part of our “Breakfast With Santa” event at Neiman Marcus Beverly Hills. Your portrayal of Santa was raved by both customers and staff at the store. You brought so much joy and positive energy to the event. You are the best Santa we’ve ever had here! We look forward to booking you again and again when Christmas comes! We had Santa and Mrs. Claus at our world record attempt for the most snowmen built in an hour. We had 800 employees and 400 kids and Santa and Mrs. Claus were a hit with everyone one of them! They engaged the kids and adults alike! We will not hesitate to use them in the future! Santa Ed was simply the icing on the cake for our Christmas in July day at our bakery! We weren’t slammed with children at one time so it was really great to see him interact with each child. He asked them trivia questions and told them stories. He even brought some presents to give out to a few lucky children! The feedback from parents was overwhelmingly positive! We will definitely have him back!! Santa Ed was great to work with too! He sent over the agreement right away, called us with details. He was a joy to work with before and during the event. I really loved working with Santa Ed Taylor. I was doing a photo shoot and even though it was small and one of my first he helped me get the shots I wanted and never made me feel like I was not an important client. I worked with kids, some harder than others and he handled all of them so easy. He also was such a pro at knowing to always look right for the camera regardless of what the kids were doing. They would eventually fall into place. I got what I needed!!! Working with Santa Ed was super easy. Contract, responsive, timelines. All very professional. Santa Ed was great! He was jolly and spirited, and a pleasure to have at our party. Working with Santa Ed was very easy. He wore our requested all white Santa costume, arrived on time, and was fun for all our guests. Santa Ed was amazing! He was so great with the kids and made our event a huge success! Can’t wait to have him for our next annual toy drive! Amazing, everything was smooth and timely. He added amazing value to our party! Very responsive. Fabulous, Hands down it was the High Point of the event. Total professional all the way. Santa Ed made the evening over the top special! He was so wonderful and patient with the kids. He has a great sense of humor so the adults really appreciated him as well. All around it was a fun evening capped off with a great visit from Santa! Santa Ed was also VERY responsive, always returned emails and phone calls promptly. This was our second year having Santa Ed visit our home and, in both cases, it was a perfect experience. He arrives on time and the kids love peppering him with questions! A perfect 10. Easy to reach via email, scan back agreements, and then text on the day of for exact arrival time. Santa Ed is our holiday treasure! He has visited our home since my boys were very small and has now come to know them and our entire family very well. His holiday joy and spirit is abundant and leaves everyone feeling the magic of the season. Every time I see Ed arriving at our house, the little boy inside of me, smiles and believes. Ed is Santa Claus. Working with Ed could not be easier. He is responsive, on-time, engages with guests and enjoys his time with you. Ho Ho Ho! All the way from the North Pole! AMAZING! Everything about Mr. Santa (Ed Taylor) was spot on! He left me doubting that he really didn’t come from the North Pole! Santa Ed was wonderful! 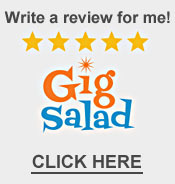 I would highly recommend him for any event. So professional and great with the kids. 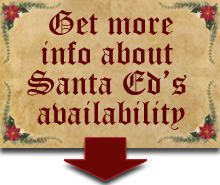 Santa Ed was amazing and is a MUST for your holiday event. Don’t look for any other Santa next holiday. Santa Ed is it! 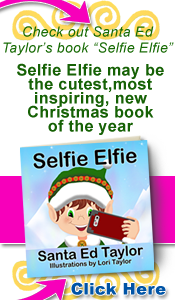 From his magical appearance and demeanor, Ed captures every minute detail of the Santa persona. My boys were initially frightened of his entrance but Ed knew how to work the room and they quickly warmed up to him. Eventually, they were sitting on his lap and laughing along with him. My heart just about melted. My children were in awe that Santa knew things about them and really made me feel for a short minute like a kid again. I didn’t want to see him go but I will see him again next year for sure! Thanks Ed for a memorable evening! Santa Ed was the PERFECT addition to our company holiday party. 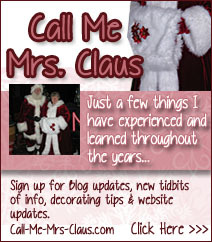 If you are looking for the most realistic Santa he is your man. He is fun and knows how to work a party. LOVED him and can’t wait to use him again!!! If you are looking for the best Santa Claus in Los Angeles be sure to consider Santa Ed Taylor, AKA, That Santa Guy. He’s insured, has a current background check, does not smoke or drink and has a long list recommendations that include many of the most respected companies and organizations in Los Angeles.